Though the Ministry of Health previously announced some of the services from Dharumavantha Hospital will be launched this July, the services will be launched in September at the earliest, says Minister of Health, Abdulla Nazim Ibrahim. Nazim visited the Dharumavantha Hospital to check the progress of the project this Wednesday. 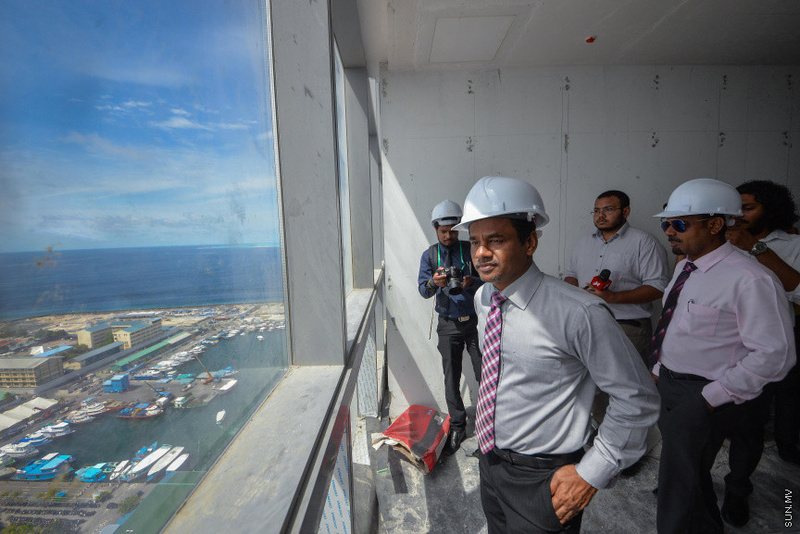 Speaking to press afterwards, Nazim said that the launch of services has been delayed due to a delay in transportation of some of the machineries needed for the project. 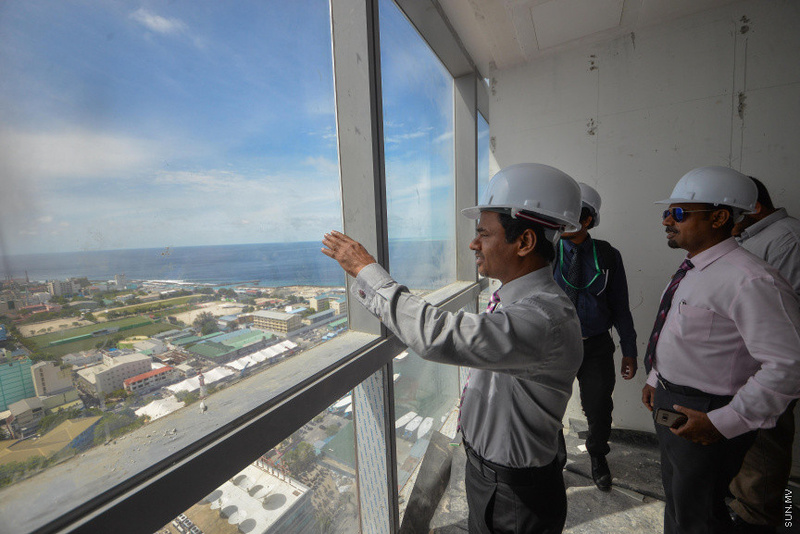 The 25-story Dharumavantha Hospital is expected to solve overcrowding at the main State hospital, Indhira Gandhi Memorial Hospital (IGMH), and launch new medical services in Maldives. Nazim said he isn’t available to provide an exact date in which the hospital will be opened, but said that the hospital will provide an instant solution to the problem of overcrowding at IGMH. “Once the hospital is opened, it will reduce overcrowding at IGMH and solve those in need of services having to wait days in queue. It will solve delays in MRI, CT Scan and laboratory services,” said Nazim. Dharumavantha Hospital will have OPD rooms, wards, private rooms, a laboratory, cath lab and open heart surgery services. Nazim said the introduction of new services is a huge step forward in the government’s efforts to stop people from needing to travel abroad for medical services. “Services will be increased in each department,” said Nazim. “Even in terms of tourism, the main barrier to foreign leaders and the wealthy from travelling to Maldives is the lack of sufficient medial services available in the country. This will be solved [once Dharumavantha Hospital opens],” said Nazim. IGMH and Dharumavantha Hospital combined will have 500 beds, which will solve the issue of patients having to wait in queue for beds. 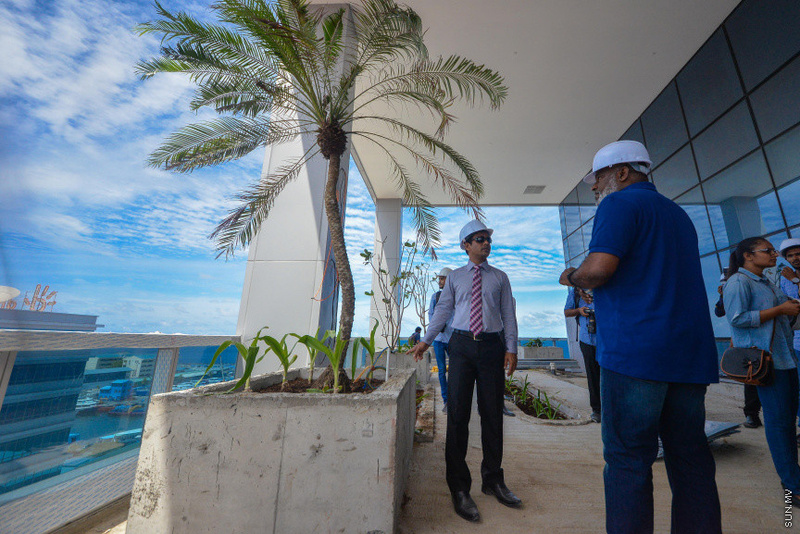 Nazim said the Dharumavantha Hospital will take Maldivian health sector to a whole new level. 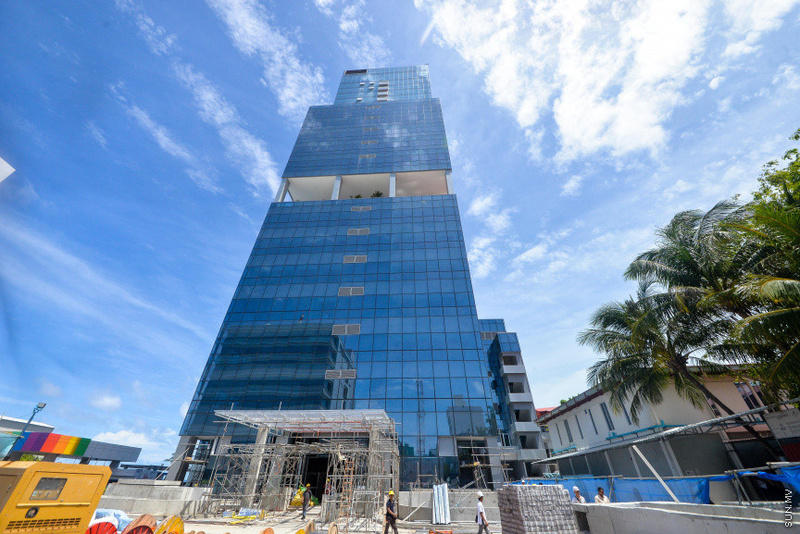 Construction of Dharumavantha Hospital was contracted to Chang Hua Construction of Singapore in March, 2018. The project is worth USD 140 million (MVR 2.1 billion). The State needs to pay Chang Hua the amount in installments within a three-year period. The contract with Chang Hua includes building an additional 10-story building – which will house a child care center, gym and rehabilitation suite. IGMH reported earlier that five stories will be used as private accommodation and two stories to house a medical college.